Saydee (our one year old) has done quite a bit of flying in her first year. I wouldn't call us experts by any means, but we have a system that has worked pretty well for us up until this point. One of the most important things that I pack is the on-flight diaper bag. Your survival rests upon this bag. Between the extra clothes, snacks, and diapers, some of the most important things are the toys. Toys and entertainment are crucial. I repeat, TOYS AND ENTERTAINMENT ARE CRUCIAL! Aside from the iPad (haters gon' hate) I thought I'd share with you some toys and activities that I have found work best for us as in-flight time killers. 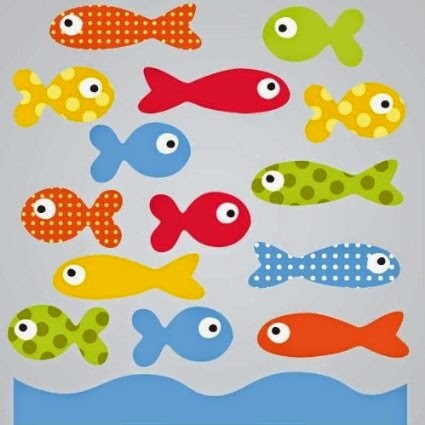 If you haven't played with an Aquadoodle yet, you're missing out. The pens are filled with water, so they only draw on the board and are mess free! 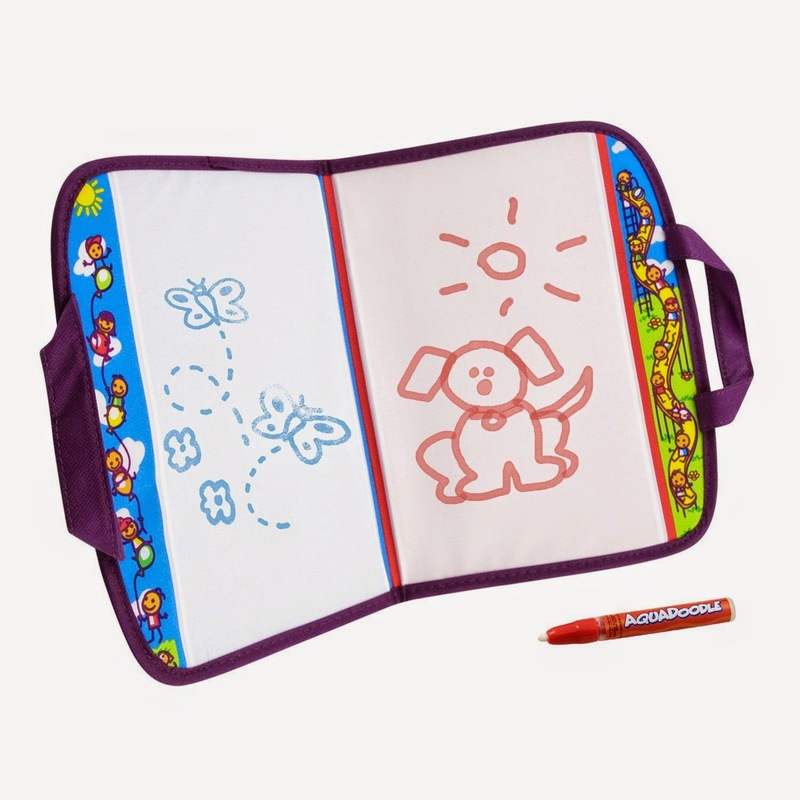 The doodle board takes a little bit to dry, but it's a great thin toy and you can't beat the mess-free aspect of it. I would recommend buying an extra pen or two, just in case you drop one and it rolls away. They're pretty cheap, and it's definitely worth it. The blocks above are Melissa & Doug, but I actually found ours in the $3 section at Target, score! I loved that I found cheaper ones. It lessens the pain a little when you lose a few on the plane. These ones aren't toooo pricey, and are a great busy-game for the little ones. 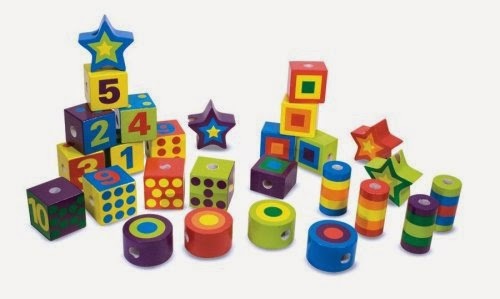 So these aren't really a toy or game, but I used these for the blocks above. Our little one isn't able to actually string the blocks yet, so I had two of these bags, one full of blocks and the other for her to move the blocks into the empty bag. She loves to take anything out of anything, so these were perfect to keep her busy for a while. 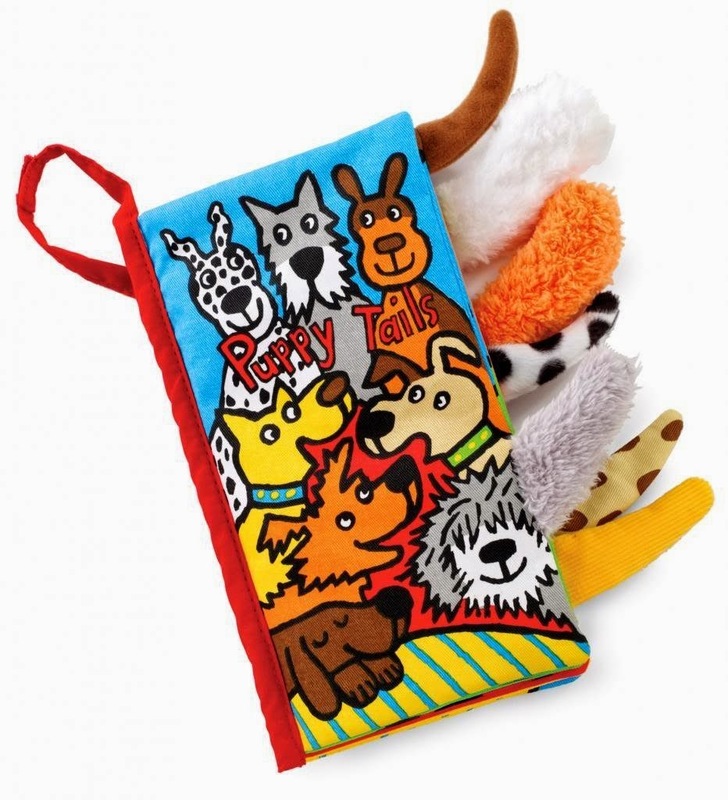 These bags are great to store anything like toys, snacks, markers, anything! The inside is lined and they are easily cleanable. I, I mean, Saydee loves these Jellycat books! These are soft and have the adorable tails hanging off the sides to touch and feel. You can find a bunch of different ones with cute, silly tails. 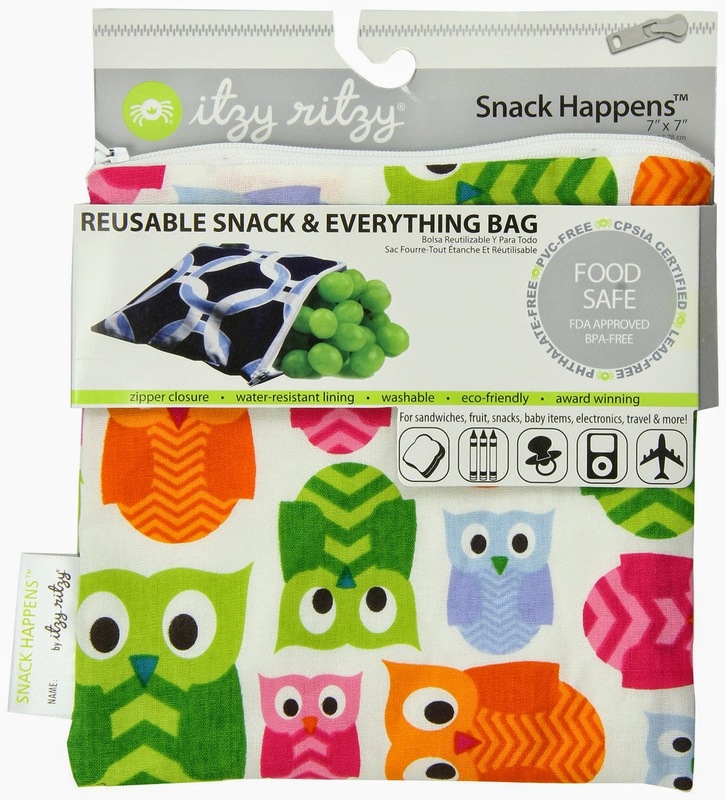 I love that these are soft and you are able to squish them into a bag and they won't take up much room. One of the smartest things you can do before taking a long trip, is save a toy or two specifically for your flight. Kids love new toys and are much more entertained by something they haven't seen before. Buy a cheap two or two and save it for the flight! It will be so worth it! Are there any toys you love for flights? Share below! !